Contact us today to reserve your fall rail-side space. All spaces are reserved and are first come first serve. Please visit our ticket page for more information. From South Boundary - Turn south on Marlboro Street, continue on Two Notch Road, turn left on Audubon Road. From Pine Log Road - Turn north on Two Notch Road, turn right on Audubon Road. From South Boundary Only - Turn South on Powder House Road, Turn Right on Audubon Road. No access from Pine Log Road or Gatewood Neighborhood. From Pine Log Road - Turn North on Powder House Road. From Pine Log Road - Turn Left or Right onto Powderhouse Rd. and Enter Polo Field through the South Gate on your Right. 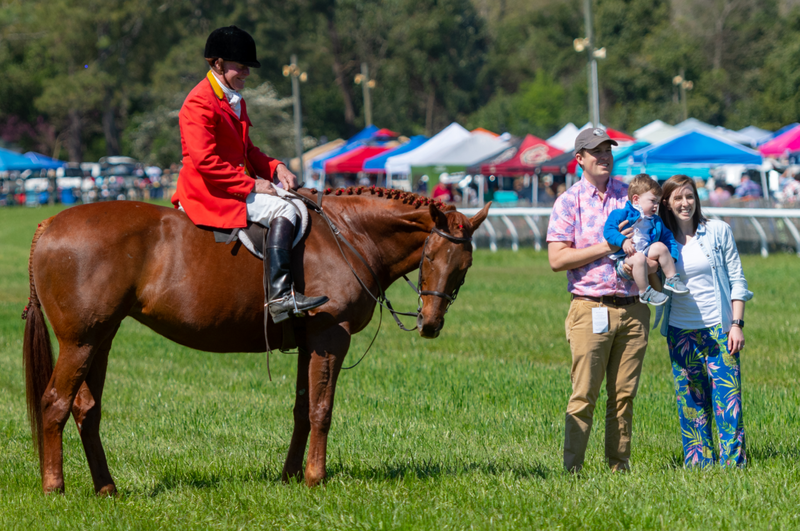 Aiken's Fall and Spring Steeplechase events are a wonderful way to spend a day seeing the horses fly, spending time with friends, and enjoying the beautiful Aiken weather while tailgating! How can I get a railside or second row tailgating space for the Spring races? 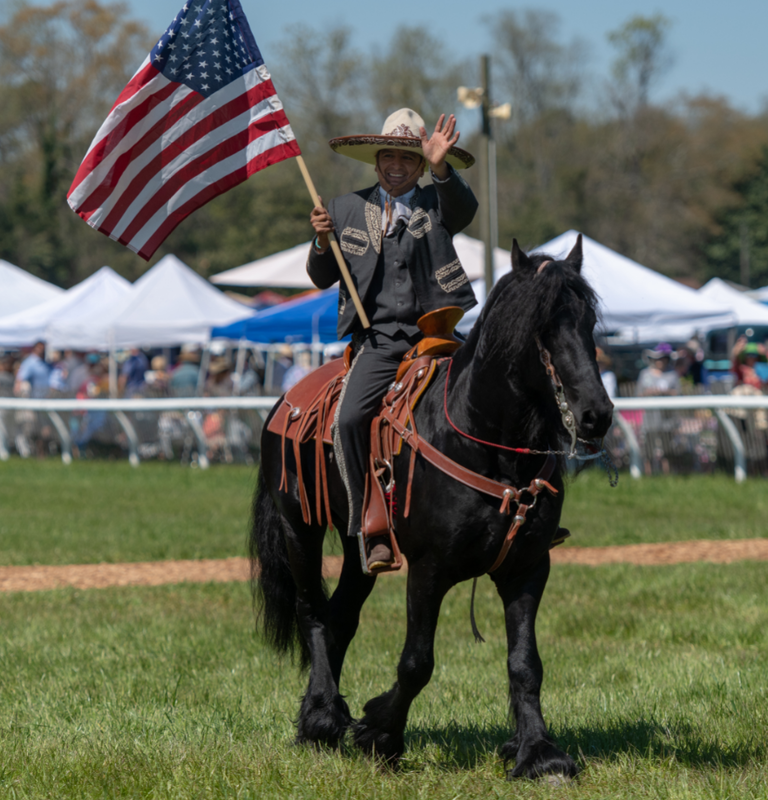 The Spring Steeplechase is a sold out event every year and railsides, second row and even infield tailgating spaces are in high demand. The turnover is very low because the same patrons renew them every year. Last year’s space holders may reserve all railsides second row, and infield/outfield tailgating spaces until March 1, 2020. On March 6th, all railside and second row spaces that are not renewed will be sold in a lottery at 3:00 pm at the Steeplechase office (538 Two Notch Road). The only patrons who are eligible for the lottery are those who purchased a railside package at the 2019 Fall Steeplechase. There are no waiting lists. Infield and Outfield $30 parking spaces will be sold online only on March 9th. The ASA regrets that it is not able to accommodate all interested parties and recommends attending the Fall Steeplechase (October 27, 2018) where railsides are available. What is the difference between Guarantor and Subscriber Admission Railsides? Guarantor Railside Packages include a railside plus four tickets to the Guarantor Tent Party. Subscriber Railside Packages includes a railside four Patron Passes and one additional parking pass in the Subscriber area. Can I buy parking at the gate on the day of the races? In the Fall, you CAN purchase General Admission parking on race day. In the Spring, you CANNOT purchase General Admission parking on race day. 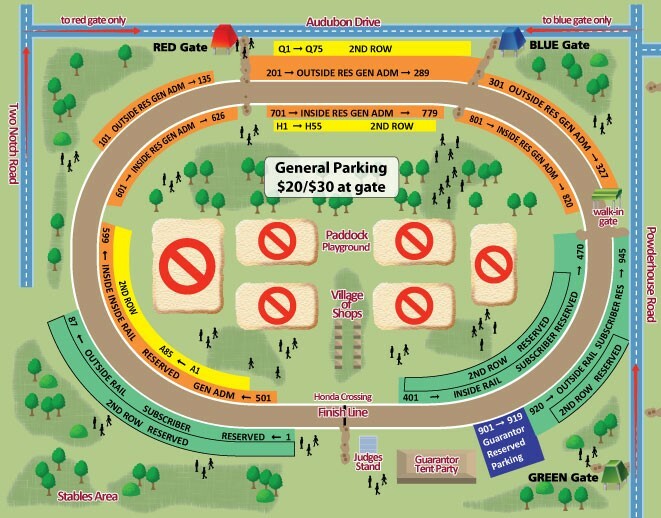 In the Spring on race day, parking may be available at the Powderhouse Polo Field. Parking prices are set by those organizations. If I have a parking space for fall do I have the same space automatically in the spring? And vice versa? The spring race and the fall race are considered separate. Those guests that purchased a reserved parking space last spring are given the opportunity to purchase that same space the next spring. Guests that purchased a space for the fall race may renew that space next fall by the deadline. Are Children admitted free of charge? Children 10 and Under are admitted free of charge when accompanied by an adult. Does the Aiken Steeplechase take credit cards? Yes. Visa, MasterCard, and Discover/Novus. When do the gates open, and what is closing time? Gates open to the public at 9 a.m. and the last race is run at approximately at 3:30 p.m. The first race on the card is scheduled for 1pm. Are the races ever cancelled? The races are held rain or shine in any type of weather. There are absolutely NO REFUNDS. Is there parking outside the gates? Parking is not available outside the gates - and would be considered a traffic hazard. Is there a “Will Call” at the races? No. Because of the location of the track and traffic on race day, all tickets must be picked up from the office by 1 p.m. the Friday before the day of the event. Afternoon dress is suggested for this event. Women guests at the Guarantor Tent Party customarily wear summer/spring dresses and hats. Flat heels such as wedges are suggested. Men typically wear lightweight sport coats and ties. Shorts and jeans are not appropriate for the Tent Party. Attire on the rails is marginally more relaxed - we recommend a sportswear look for women and khakis for men. Dressing according to the weather is always a good rule of thumb. Where is the Aiken Steeplechase office located? The office is located at the Aiken Training Track at 538 Two Notch Road, S.E. From South Boundary (from Downtown Aiken) Turn Right onto Marlboro Road. At the stop sign, turn Left and immediately turn Right on to Two Notch Road. The Aiken Training Track is the first Left and the ASA office is the first cottage on the Left. From Whiskey Road (from South Aiken) Turn Right Price Avenue SE Turn Left on Two Notch Road - go 1.3 miles Turn Right into the Aiken Training Track and the ASA office is the first cottage on the Left. Office hours are Monday – Friday, 10 a.m. – 4 p.m. The office is open year round, but please call ahead during the off-season. Note - Office hours on Friday before race event will be 10 a.m. - 1 p.m.
Where can I buy steeplechase merchandise, such as posters, hats, etc.? All merchandise is sold at the Aiken Steeplechase office as well as at both race meets at the Village of Shops. How do I become a member of the Aiken Steeplechase Association? Fill out the attached membership form below, and mail it to the Aiken Steeplechase Association (P.O. Box 360, Aiken, SC 29802) with your payment.